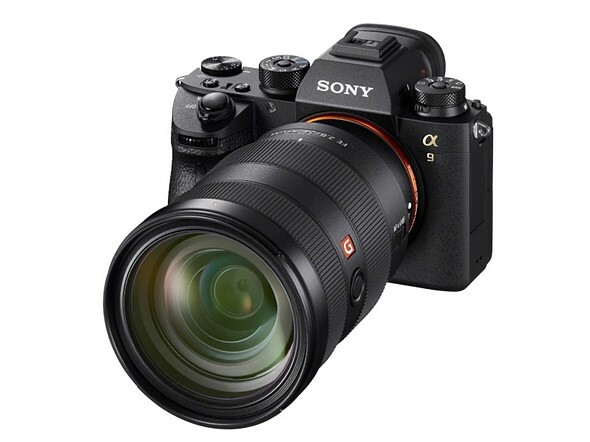 Sony has announced major firmware upgrades for the a9, a7R III and a7 III which improves stills and video tracking, enhances autofocus performance, and adds Eye AF for animals. It appears both Sony and Nikon are following in the footsteps of Fujifilm with software upgrades. Fujifilm has earned a reputation for issuing firmware updates that significantly improve a camera’s capabilities. Rather than just fix bugs the updates provide customers with a better camera without buying a new camera. Sony is rolling out the a9 improvements with two firmware upgrades: 5.0 which is scheduled for March; and 6.0, coming in Winter. Firmware 5.0 adds a newly-developed object tracking function called Real-time Tracking. It has an Artificial Intelligence-based object recognition algorithm – a system that processes colour, tracks subject distance, brightness, and spatial distance to accurately focus on a moving object. The AI recognises both human and animal faces, and holds ‘extremely high tracking precision’ of the moving eye. Here’s Sony explaining it in video form. Pet and wildlife shooters will be pleased with Sony’s Real-time Eye AF – another AI-based recognition system to ‘detect and process eye location data in real time’. When half-pressing the shutter button in AF-C mode, the camera should demonstrate improved accuracy, speed and tracking performance when photographing an eye. Photographers can also choose which eye they want to focus on. ‘Other focusing capabilities that will be available with the new firmware include Touch Pad, Touch Tracking, an extended phase-detection AF aperture range, increased from F11 to F16, and Fast Hybrid AF for movie shooting that provides smooth, automated focusing for movies,’ the press release says. Colour reproduction, particularly of the sky, will also receive a boost, and white balance will improve in burst shooting mode. Sony isn’t giving much away for firmware 6.0, which it says will add ‘Eye AF for animal eyes, an exciting new feature for wildlife photographers that will enable interval shooting functionality for creating time-lapse movies’. The update for these two cameras is scheduled for April. The major new feature has been explained above – the improved Eye AF performance that extends to animals. The cameras also receive an interval recording function for the creation of time-lapse movies. Full firmware details can be found on the Sony Alpha Universe website.